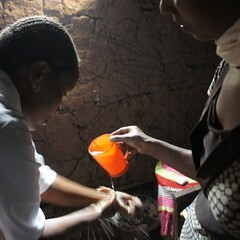 Since coming home from Kenya in July during the ONE Moms trip I have become a changed woman. I am now more committed than ever to use my voice and the platform I have built over the years to share the stories of people who live in poverty in developing nations. Yes, there is untold poverty here in the States, but this is my calling. I am of the absolute belief that people in developing nations matter, too. I have learned so much since my trip to Kenya. I have learned about complicated issues surrounding global poverty and real solutions to eradicate it. I have learned about HIV/AIDS and how it is tearing through developing countries, but with a global effort it can come under control. I have learned about fair trade, fair labor, and workers’ rights. I have learned that through simple solutions like having access to better seeds, arable land, and working together in farming collectives people can grow more food thereby living more food secure lives. I have learned that maternal deaths are rife in developing countries and need to drastically be reduced. No woman should die because she’s bringing life into this world. This all leads me to why I am going back to Africa. By happenstance I met a woman at my neighborhood coffee shop last fall who it turns out is the founder of the Nyanya Project, a non-profit organization that helps African grandmothers care for their grandchildren in the event their parents die from AIDS. The Nyanya Project helps African grandmothers form working cooperatives that generate the income necessary to provide healthcare, education and a loving home for their grandchildren. 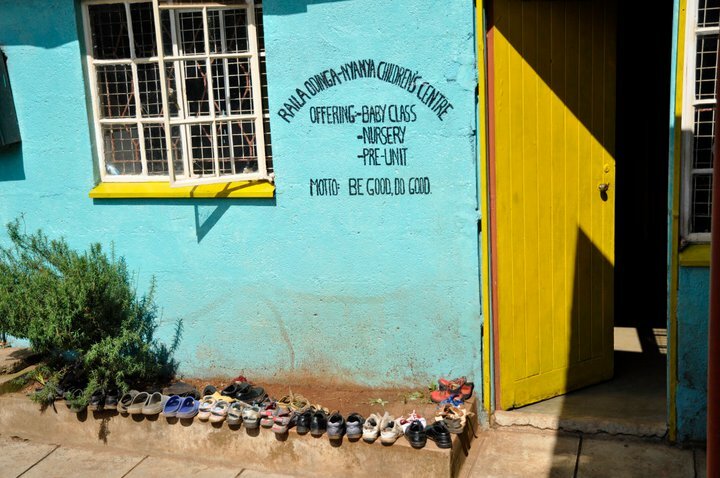 The Nyanya Project also runs a preschool in Kibera, one of the largest slums in Kenya. The woman and founder of the Nyanya Project is Mary Martin Niepold, a Lecturer in Journalism at Wake Forest University and an amazing woman. In 2007 Mary went to Africa to volunteer and came back with a strong desire to do something, anything. 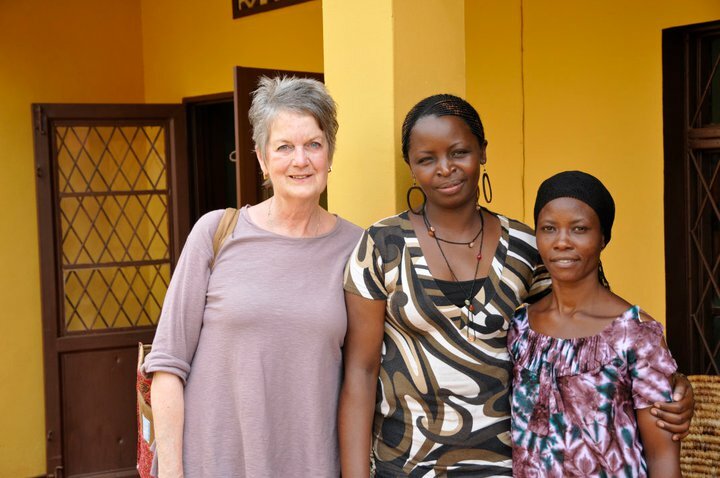 Now the Nyanya Project helps African grandmothers in Kenya, Tanzania, and Rwanda. This summer I will be going back to Kenya to volunteer with the Nyanya Project to help children who have lost their parents and the grandmothers who care for them. If you would like to go, you can! You will have to fund your own trip as all Nyanya Project funds go to the work they do in Africa. If you’ve ever dreamed of going to Africa to do work that helps others, here’s a wonderful chance to do so. Contact me at jjames@mombloggersclub.com to find out more information. Or, if you cannot go to Africa, but would like to donate to the Nyanya Project to further their work, please take a moment and give what you can. They would be so appreciative! Donate here. The Nyanya Project recently received a matching grant donation so everything you give is automatically doubled! If you donate. Thank you! And if you would like to go to Kenya with me and the Nyanya Project, I can’t wait! I love this project..Jennifer God will continue to bless you.. Thank you so much. I can only do a little, but what I can do, I will. Wow, Costa Rica, Morocco and Nepal…all places I would love to see! I would love to write for World Mom’s Blog. I’ll email you! I actually got to hear you speak with some of the other ONE Moms at a Women Delivered event this September in NYC during Social Good week. Nicole, the thirdeyemom, suggested we contact you regarding a guest post for World Moms Blog — we would be honored to have you write a guest post for us!! I will e-mail you. I enjoyed reading this about how you are planning to return to Africa, too! Look at you go! You and your passport and your desire to change the world. Love it! Awesome! Oh, yes, me and my passport! 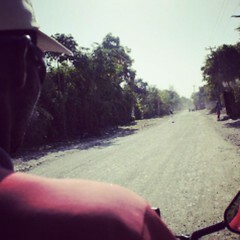 Can’t wait to see more of the world and do some good while I’m there. Wow you are so lucky! I would love to take a trip like that!